This program trains participants to instruct others in the operational use of revolver and semi-automatic handguns. Theory content covers firearms safety, liabilities and responsibilities, mechanical operations, ballistic theory, equipment, fundamentals of survival shooting, maintenance, first aid and post crisis trauma and documenting use of force incidents. Practical content covers carriage and presentation, handling skills and operational techniques including rectifications, dry drills and live firing, and weapon retention. Trainer content covers key principles of training and assessment, safety in training, professional ethics and standards for use of force instructors, range management including conducting hot ranges, coaching strategies, and use of drills and simulations for stress inoculation training. The program makes use of practical skill acquisition and development through extensive range practice and simulation exercises. Minimum skill level required: Intermediate shooting skills and excellent firearms safety and handling. 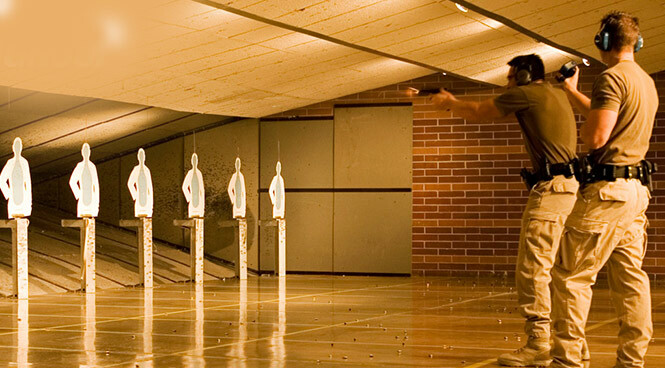 300 rounds of ammunition are required for all courses. 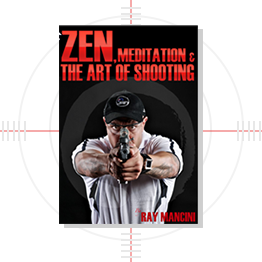 Ammunition is available from Ray Mancini for the courses only. Free loan of Ray Mancini pistols, magazines, holsters, mag pouches and full safety gear. This one day course is available for just $1500.00. Contact us TODAY on 1300-788-827 to find out how you can enrol.